Offering you a complete choice of products which include oxygen trolley, cylinder mounting bracket, sgepl cylinder and nitrogen trolley. With an increased proportion of technology, we are offering a qualitative assortment of Oxygen Trolley. Backed by skilled professionals, this trolley is manufactured using premium quality raw material and innovative technology. Our provided trolley is examined on different quality measures so as to maintain its quality. Apart from this, offered trolley is availed in variegated sizes, shapes and specifications for our patrons to choose from. Symbolic to all the success that we have acquired in the industry, remains our status as the leading manufacturer and supplier of a wide range of Cylinder Mounting Bracket. Widely used for transferring cylinder from one place to another, our offered mounting bracket is manufactured under guidance of our adroit personnel using high grade raw material. 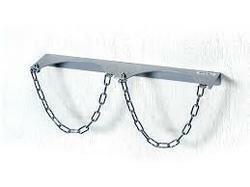 Moreover, this mounting bracket is stringently tested by our quality experts on different quality measures. We are a reckoned name in the industry of manufacturing and supplying a superior quality range of SGEPL Cylinder & Gas Banks that are used for the secure transportation of industrial and respiratory gas bottles. The offered gas banks are manufactured by using excellent quality raw material and cutting edge technology by our adept professionals. Besides, we offer these gas banks to our clients at market leading prices. By keeping track of latest developments, we are offering a wide range Nitrogen Trolley. The offered trolley is manufactured using quality tested raw material and progressive technology in adherence with industry norms. 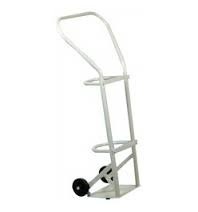 To cater the requirements of our valuable clients, this trolley is availed in different sizes and specifications. Apart from this, customers can avail this trolley from us at budget friendly prices. Looking for Cylinders Quads, Banks & Cascade ?